TRYING TO DISPROVE GOD, ATHEIST GENETICIST TURNED TO FAITH | Connecting with You! 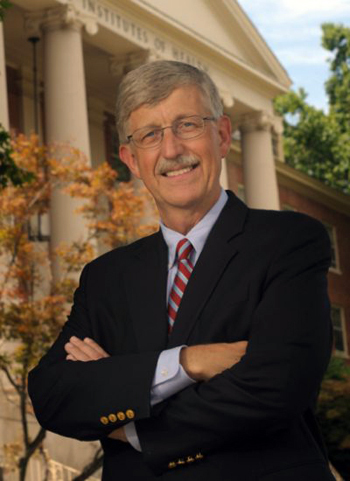 The current head of the National Institutes of Health, Francis S Collins, came to faith after he set out to disprove God. ‘I had always assumed that faith was based on purely emotional and irrational arguments and was astounded to discover that one could build a very strong case for the plausibility of God,’ he noted on CNN. ‘My earlier atheist’s assertion that “I know there is no God” emerged as the least defensible.’A geneticist, Collins was appointed director of the $3 billion international Genome Project in 1993, which completed sequencing the 3.3 billion pairs of nucleotides by 2004. The resulting gene map offers hope to cure genetic disorders. It also gave Francis Collins (left) a spectacular view into the magnificence, order, and finely-tune perfection of the DNA molecule, God’s software for every living thing. Directorship of the Genome Project was touted as the most prestigious job in science at the time. He compiled his thoughts in a 2006 book, The Language of God, which posits that biology, astrophysics and psychology all argue in favour of faith in God. 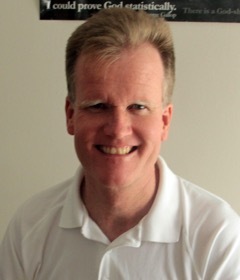 During the following year, he founded BioLogos, an organisation that brings together scientists who wish to pursue science and faith in a cohesive unity. Of particular importance to his faith is the concept of ‘moral law’ – the denunciation of oppression, murder, treachery, falsehood and the injunction of kindness to the aged, the young, the weak and helpless, to paraphrase C S Lewis. ‘After 28 years as a believer, the moral law stands out for me as the strongest signpost of God,’ he writes in his book. Collins grew up in a family of agnostics in Virginia’s Shenandoah Valley. By the time he graduated medical school, he described himself as a full-fledged atheist. But then a patient queried him about his own faith. Prodded thus, he decided to research the point and debunk faith. After obtaining a degree in quantum mechanics, he decided to change paths in life and pursued medicine. As a resident he watched people suffering terminal disease without blaming God. To the contrary, faith seemed to give them strength and, in many cases, improve their symptoms, he said. He was 27. After months of wrestling over the question of God, he finally broke down. One day, hiking in the Cascade Mountains, admiring the grandeur of God’s creation, he said ‘yes’ to God. At first, sharing his faith wasn’t easy. In 2005, Collins was named jointly with genome colleague Craig Venter America’s Best Leaders by U.S. News & World Report and the Harvard University Center for Public Leadership. Collins assumed the NIH office in 2009. He is 65 as of April. He loves motorcycle riding and playing rock. He’s formed a band of NIH scientists that duels with a band of scientists from Johns Hopkins University.